Without disconnecting the hydraulic brake hose fitting, remove rear brake caliper and support with heavy mechanics wire. Refer to Rear Disc Brake Pads Replacement. 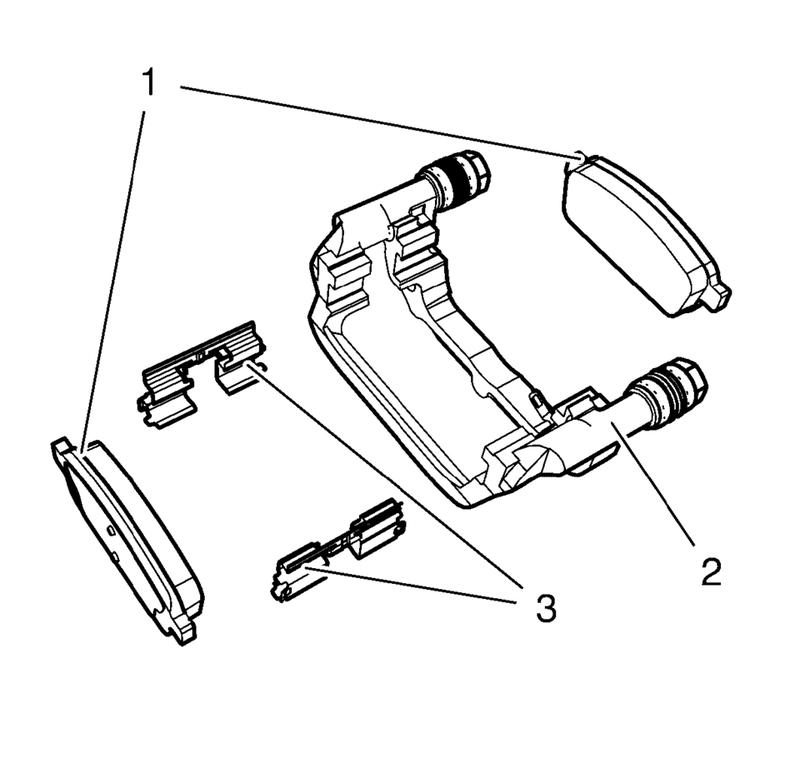 Remove the disc brake pads (1) from the brake caliper mounting bracket (2). Looseness at the brake caliper bracket. Looseness at the disc brake pads. Excessive contaminants in the brake caliper bracket surface and caliper bracket bolt threaded holes. If any of the conditions listed are found, the disc brake pad mounting hardware requires replacement. Ensure the disc brake pads are held firmly in place on the caliper bracket, yet slide easily on the mounting hardware without binding. Install the disc brake pads to the caliper bracket.